Chances are that if you are a piano or keyboard player in a modern band you are not adding concerto pieces to the song. Your contribution is most likely emphasizing string and percussion melodies. Another safe bet is that you are not sitting down during shows. Instead you are just as active, if not more active, as all of your band mates. Also, you are putting in the same amount of time and practice as the others. Unfortunately, this makes you just as susceptible to injury as all of the other musicians in your band. 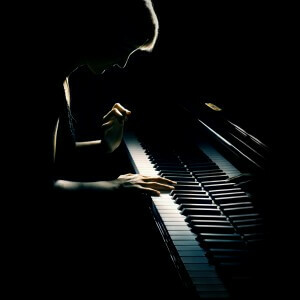 Many professional pianists and keyboardists spend hours per day working on technique. These hours can consist of exercises like Hanon, Dohnanji, Cortot, scales and chromatics. All of these exercises are used to increase finger memory and dexterity. Due to this perpetual utilization of finger and wrist muscles, pianists are at an extremely high risk of several disorders of these areas. Dystonia is a distinct injury thats affect muscles and tendons. With dystonia, the brain’s capacity to control movement and reflexes in the body is impaired. Muscles can involuntarily contract, producing awkward, spasm like movements. Hands or fingers may fail to respond to conscious commands, or respond in unintended ways. Fingers may involuntarily clench instead of playing the intended key. The condition may or may not be painful, but the emotional stress and frustration endured by musicians suffering from dystonia is immense. Dystonia has prematurely ended the careers of some notably famous and skilled musicians. It is important to contact a physician immediately for dystonia treatment if you begin to experience any of these symptoms — before the condition worsens. In key playing, the small tendons in the fingers and wrist are used to relieve the great deal of pressure that each finger movement can create. When the tendons become inflamed, movements of the wrist and fingers become painful. Piano and keyboard players are at an especially high risk for tendonitis due to the high amount of finger and wrist movement needed to play. The most common cause of tendonitis is overuse. As musicians progress, the increased level of difficulty forces them to utilize the wrist and finger tendons much more rapidly. The tendons are not yet accustomed to performing at this level of demand and eventually become inflamed and therefore, painful. Carpal tunnel syndrome is similar to tendonitis because they are both caused by increased pressure in the wrists and hands. But, carpal tunnel syndrome has distinct differences from tendonitis or related disorders. The carpal tunnel is a narrow passageway of ligament and bones at the base of the hand. This passageway surrounds the median nerve, which runs directly from the hand up into the forearm. The median nerve controls receptors to the palm side of the thumb and fingers, which allows the smooth and flexible movements of the fingers and thumb . Carpal tunnel syndrome occurs when the median nerve is squeezed or pressed at the wrist. Swelling from irritated tendons can also be a factor in the compression of the nerve, such as in a previous injury or trauma. Carpal Tunnel Syndrome, however, is not caused by tendonitis and vice-versa. They are completely separate disorders and have individual symptoms. The majority of spinal conditions in pianists and keyboardists arises from improper positioning and support while playing. 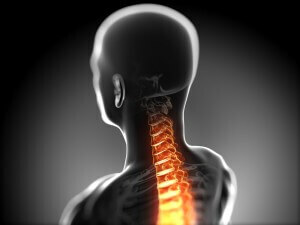 Because of the position playing piano forces the body to be in, cervical and lumbar injuries are quite common. The necessity of positioning your arms and hands in front of your body to play creates the tendency for pianists to arch their backs forward and “hang” on the ligaments of the spine. This arching is one of the most common factors for lumbar spine injuries. Also, due to the lack of lumbar support while playing, it is common for pianists to crane their necks forward. According to The Chiropractic Resource Organization, for every inch your head moves forward, your head effectively gains 10 lbs. of weight. This directly affects the amount of force and strain applied to the tissues and muscles in your upper back and neck . This causes your sub occipital muscles, which are your chin-raising muscles situated at the base of your skull, to remain under constant contraction. This contraction often leads to chronic pain in the spine as well as injuries like disc herniations and reduced disc height.